Most of my work centres on parties, voters, and attitudes. I’m particularly interested in right-wing extremism and related phenomena like radicalism, populism, ideologies in general, and political attitudes including value orientations. For obvious reasons, this is a particularly relevant issue in Germany. But I have also published on German parties and their voters more generally. I’m particularly interested in the stubborn East-West differences that prevail even three decades after unification. Have a look at my full list of publications for more information. One fun aspect of being a German psephologist is that there are so many elections at the subnational level. With 16 Länder, there is always something going on. 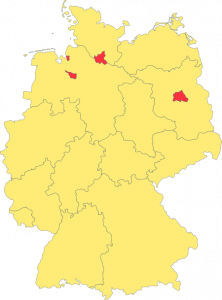 My own research focuses mostly on Rhineland-Palatinate (=Rheinland-Pfalz), Bremen, and Hessen.